"Raymie's story is entirely made up. Raymie's story is the absolutely true story of my heart." 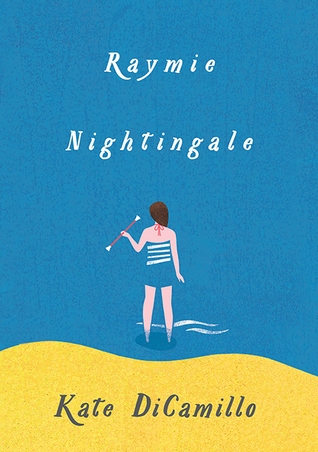 These words are in the inside cover of the ARC of Kate DiCamillo's upcoming Raymie Nightingale, publishing April 12. I hope her letter appears in the published book too. I feel like it's important for readers to know. Kate uses such wonderful vocabulary. She uses words that I never would think of using, but after reading them, I know no other word would've fit. I love the word 'malevolent', but it's hard to throw it around in conversation. Kate uses it and it seems to be such an easy word to fit in. Her characters are never verbose (had to throw my own big word in). They say just the right amount, with the perfect vocabulary choice. I didn't catch that at first. From all the promos I had ever read about this book, I knew our main character's, Raymie, father had run off with another woman, and Raymie was going to enter a contest to try and woo her father back. And while that event starts the book, it turns into something so much more. But it's quietly, not in your face, done. We meet Louisiana and Beverly right away, but they slowly become the friends that Raymie needs. Kate shows the reader that Raymie needs these friends way before Raymie realizes it. We see how they begin to fit together before Raymie does because she's too intent on figuring out how to get her father back. My heart bled for these girls and I loved to see how their relationship fit together in this wonderful, odd way. 3. It's about your soul. That feeling inside you that balloons big and wide and then deflates the next minute. I love that the reader gets to learn what Raymie perceives as her soul - the feeling inside that grows and deflates. In the letter at the beginning of the ARC, Kate says she worried about her [own] soul. I think we see inside Kate's soul every time we read her books. I love that she lets us get a glimpse. For those of you who are getting ready to experience this book for the first time, two pieces of advice. I love the current cover of the book. It's simple. It's eye appealing. But in my opinion the girl depicted appears to be an older tween/young teen. Raymie is 10 years old in the book. I had visualized her as being older and had to constantly remind myself, she's 10, she's 10, she's 10. Start picturing a 10 year old now. I also didn't know this book was going to be about friendship. About how 3 different people can come together and be the friends you need, that you didn't know you needed. Buzz Feed has a great post about Raymie that I think is one to read. Find some time to read. This is a book that you want to set aside a good chunk of time to allow yourself to fall into this book. You'll be glad you did. I still don't know what made me sign up for my first marathon. I was hooked by the running swag bag. Don't know about the swag bag? Or expos? Or medals? That's the dangling carrot for me. What gets me signing up for races again and again. On the weekends, I often have on a sweatshirt that came from one of my many races. It's fun to buy those at the expos. I have a wall of medals that I proudly display. It's in a room I rarely go in, but that's ok, I know they are there. The medals that come from races held at Disney are the best. I run ridiculous amounts of races there just to get the super cool medals. And while I was racking up the 13.1 mile medals and sweatshirts, I guess I really needed one that said 26.2 on it. The nifty bumper stickers for your car are sweet swag too. I switched out the 13.1 for the 26.2 real fast! And after I did that first marathon, you would think I learned my lesson, but no. I signed up for two more. I think three is a nice number. I'm content with that. I obviously like running, right? Nope. Really don't. I don't get that runner's high, but I've heard about it. For me it's all about having a goal and working towards it. And when I finish those races, I get the same thing as the people who came in fourth place (because sometimes the runners who win really do get a "purse"/cash prize). When I read Meghan McCarthy's newest book, The Wildest Race Ever, I loved it because of the connection I had with it. There's something that makes you feel good when you can relate to other people putting their bodies through this crazy torture. My favorite line was at the end of the book, "He claimed he would not run again. But like all good long-distance runners, who are compelled to keep running, Hicks did the same." Been there, done that. This is a book that I will put in my classroom library. I think young readers will enjoy reading about the competitive part of this sport. They will enjoy the back and forth between the runners, never knowing for sure who will win. McCarthy has a layout early on showing some of the key players in the race. I would flip back to this page frequently so I knew who was who. McCarthy talks directly to the reader at times, asking the readers opinion over something that could be considered controversial. What a great opportunity for students to come up with an opinion and use textual evidence to support it. I love the end of the book. McCarthy wraps up the book with a perfect conclusion that brings the theme and the events of the book together. Check this book out soon! I think readers will run away with it (ha, see what I did there?). For our students and our own children, we want their lives to be easy and perfect. We want heartbreak to stay away and all problems to be solved easily. But life doesn't always work that way. And even when it does, it doesn't stop some children thinking about those big issues. Issues, that while they may seem foreign, still weigh on their minds. I was one of those readers who liked reading about bigger issues. I didn't have to worry about them, but the unknown was a thought in my mind. I read voraciously as a child, and sometimes I read light and funny books. But sometimes I wanted a book that explored something heavy. 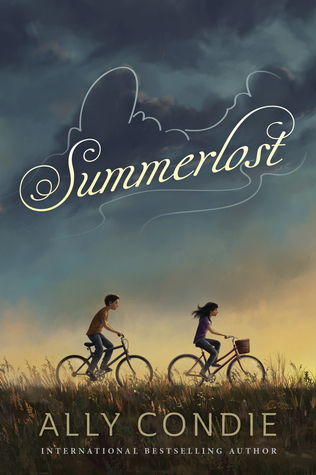 Anyone else remember Lois Lowry's A Summer to Die? And there were others too. These books are important for students. Some kids look for them to ease what they are feeling. Some kids look for them because they have questions. There are a few books that are being released that have young characters searching for answers to big questions. I hope you find a place for them in your library. One of the great things about libraries is that they allow me to read a book before deciding on purchasing them. Here are some books that I got from the library but decided they were must-haves. Another must-have book for me was this week's nonfiction selection, The Secret Subway. Here are some mentor text suggestions. I celebrated Liesl Shurtliff's newest book, Red, and her author visit at my school. 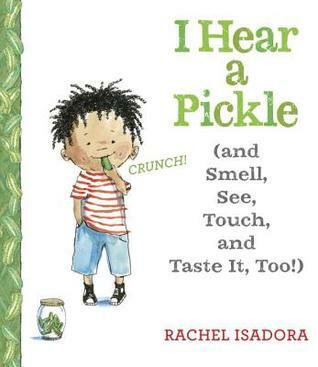 Be sure to check out this FANTASTIC book, I Hear a Pickle. 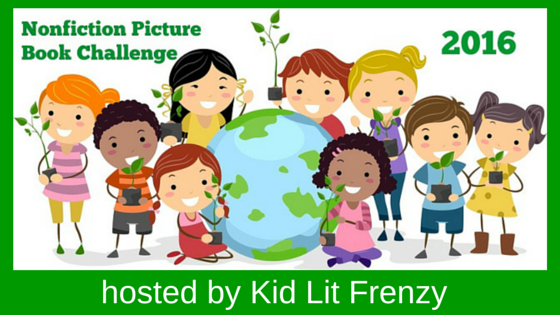 Mentor text ideas here. 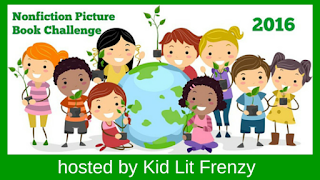 I was the guest blogger on Scholastic's Reader Leader blog this week, talking about including nonfiction choices in your independent reading time! Check it out! I was so excited to get this book! Press Here and Mix It Up have been 2 favorite books to check out among my students - and that's students ranging from Kg-4th graders! There is something magical knowing something is going to happen with each page turn. Watch out for a separate post on interactive books that will be coming soon! Great concept book for opposites. This book will be perfect to use in a preschool/kindergarten setting. A monkey goes exploring in the zoo at night and finds things that are the opposite. Good visual representation and I like how the monkey appears in each layout - feeding the giraffe is my favorite. Zoo books are tricky because I have very conflicted feelings about them. But concentrating on the conceptual pattern of this book and the beautiful and vivid colors used in the illustrations makes me more comfortable. Use this book to talk to students about conquering their fear. A lot of young readers have a fear of animals, particularly dogs. This will be a great book to use and talk about with young readers. This book that is full of word pairs, does more than just say the pairs, we see them illustrated which gives readers a visual clue and there is also a small definition on each page in case someone doesn't pick up the clues in the illustrations. In the back matter there is a brief explanation of homographs and then a table that has the words, the origin of the animal's name and where the action got its meaning from. Sweet book, good to use with growth mindset. This book will have its own post on a Spotlight Friday next month. Loved this book about how a young student activists worked together to help the local sea turtle population! Ruzzier perfectly captures what books do for readers and the power of imagination. 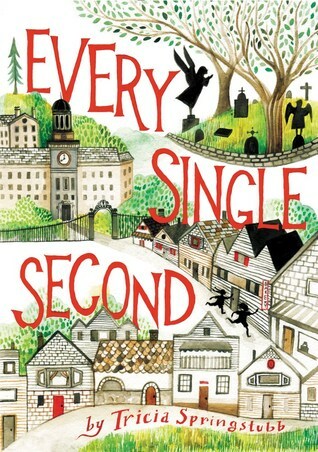 Another book that will be feature in an upcoming Spotlight Friday post! This is going to be a fun, new transitional chapter book series! Diverse character, a little bit of Spanish added. Part doodles, part story. I think young readers will like this series! I loved this one because my heart just broke, then was stitched up, then broke again. 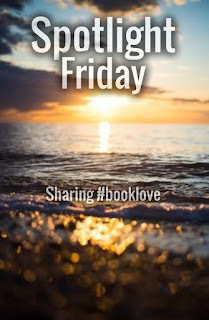 The multiple story strands - the heartbreak after death, falling into a new and special friendship, ghost stories - were woven together expertly and kept me turning the pages. Great for 5th and up. Loved it. Loved the different angle on the end of the world that leads to a forced new society - where you never know who is the bad guy. I hear a book... pages turning. I see a book... one that I want to read. I touch a book... and enter a new world. I taste a book... ok well maybe that's not a good idea. I smell a book... because I'm a book sniffer and they smell good! Every time we activate our senses when we learn, we make new pathways in our brain. The more senses we use, the more we can remember. Each sense gets 3 double page layouts where the reader experiences the characters using a sense and a corresponding description. What I love about this book is the different descriptions. For example, the sense of hearing is described by sounds, but also not hearing sounds - "I don't hear the worm". Smells are pleasant - soap, perfume, blankie - and not pleasant - baby's poop, brother's smelly sneakers. And even not smelling, when you have a cold! The top right side of the page lists all 5 senses and highlights the sense that the layout is describing. The end of the book has a character using all 5 senses to describe a pickle. What a wonderful book to use in a 5 senses unit! I love the contrasting descriptions and vocabulary used. Have students pick an object and describe it using their senses! from I Hear a Pickle (and Smell, See, Touch, and Taste It, Too! If you know me, you know I love fairy tales. There is something about the magic in them, the themes of good vs evil, lessons learned, characters changed (sometimes literally). They are so fun! I remember when I first heard about Rump. It was an upcoming book by a debut author. I was just getting on the nerdy train at that point. I was new to blogs and Twitter, so I was only reading a few blogs, a few tweets and getting more buzz from book companies. Based on my affinity to fairy tales, I preordered the book, not really knowing much about it. Well, it was just as good as the buzz said, and I was a Liesl Shurtliff fan for life. What I loved about Rump was seeing the character from a new point of view. I knew the fairy tale version (or at least one of them), and I love the character from the TV show "Once Upon a Time" (remember, I have a thing about the villains), but this was a new look at a familiar character. I love how Shurtliff spun the tale that made us think of new possibilities. Then Jack came out and I fell in love with a new character. What I loved about Jack was he was complicated. Good heart, mind full of mischief. And when you have that, you have a wonderful troublemaker who really means well. I love those characters - the ones who can't help but get into a little trouble. And while absolutely not a sequel, I loved the crossover between the two books. And now we get to fall in love with a new character, Red, as in Little Red Riding Hood. And while Rump and Jack will always have a place in my heart, I think it's Red that I love best. Throughout this book, there were three themes that seemed to come up again and again. The first was family. In Red, our main character is out on a quest to save her beloved Granny. Granny has fallen ill, and it's up to Red to help her out - without using magic. Magic doesn't seem to work for her. I loved the bond that Red has with her Granny - I loved that it was a special bond between granddaughter and grandmother. Granny is such a wise character and the wisdom she shares with Red not only makes Red grow as a character, but teaches her about life and death. It was exciting to see how far Red would go to save her Granny. The next theme was the bond between friends. Through Red's relationships with friends - both of the human and animal kind - we see Red learn how you have to sometimes look deeper to find a friend. Sometimes the first, and maybe second, third and fourth attempts at friendship don't always work, but if you take the time to see the person inside, it may be worth the wait. I think this is a great lesson for middle graders to read about! Finally, the theme of destiny is woven through this story. While not as prevalent as in Rump, I think each fairy tale character in all of Liesl's books have had to figure out their destiny and what it means for them. I think the idea of choosing your destiny versus letting your destiny happen would be an interesting conversation for children to tackle. I hope you find a copy of Red: The True Story of Red Riding Hood by Liesl Shurtliff on April 12th. In the meantime, be sure and watch the trailer of the book! I've been doing a lot of thinking about read alouds lately. Some of the work you can do using a read aloud is to track the development of an idea in a story. 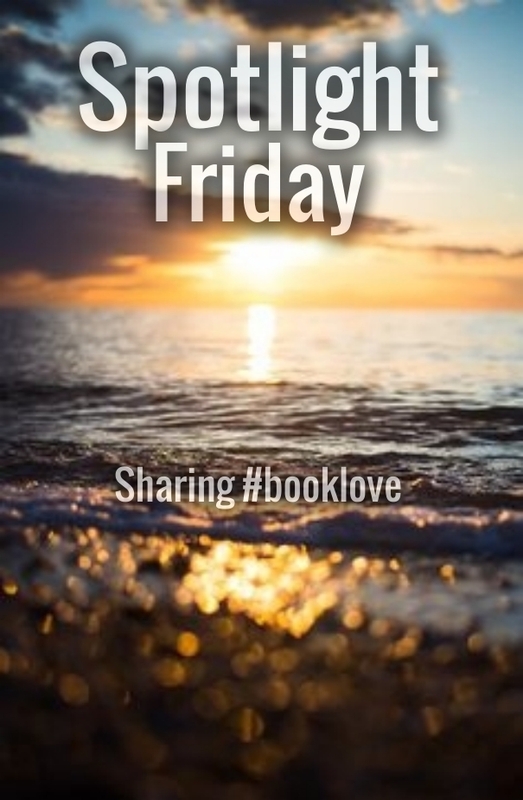 I think you can do this with any of Liesl's stories. I would love to track character development with any of the three main characters. There would be so much to stop and jot and write longer about or have conversations around. If you're thinking about using a read aloud for some real purposeful work, grab one of these three! Finally, our school was so fortunate to host Liesl at our school last week. It was an entire day that was full of celebrating literacy and writing. Liesl gave a couple of presentations to our younger (K/1) students and older (2/3) and each presentation focused around fairy tales. She tailored each presentation to the age of the audience. The students left the assembly knowing a little bit more about fairy tales and thinking a lot more about the perspective of the character. My favorite part of the day was the workshops she gave with our 4th grade students. Liesl worked with the 4th graders, giving them specific writing tips and helping them craft a story. It was some of the best writing work we've seen. The level of engagement was fantastic! Finally, she ate lunch with some of our passionate readers and writers in 3rd and 4th grade. Such a rewarding experience for these students. But the day didn't end there. Liesl came back for our evening's Family Reading Night and talked reading and writing with parents and students. The parents were thrilled and we had so many compliments about the evening. If you have author visit funds, I highly recommend looking at having Liesl Shurtliff visit your school. The work she did with students was fantastic and the message given to families about reading and writing was absolutely received! I'll leave you with some pictures and vines (literally)! This vine grew a little bit more each day. The kids were amazed every morning! Check out these student book blurbs! Hanging out with Liesl Shurtliff! Not a bad start to your day! Just doing some writer's workshop with Liesl Shurtliff! Getting to hear a preview of Red!